Luca's friend Will, who is from a lower-class segment of society, has gone missing. Luca's only clue to find his friend is his fondness for a certain club in the entertainment district, where a woman named Yue performs. Will had always said they should go there together sometime. When Luca goes down alone to try to speak to Yue, though, he ends up being beaten badly. Luckily, Yue herself finds him, and takes him to her friend Takaomi to be patched up. It soon becomes clear that Will has fallen victim to a chimera sickness that is becoming common in the lower classes. Luca is determined to find his friend, and to save him. Kuroa Chimera was probably my favorite this week. I liked the characters, and I'd be interested to see how they handle Will's transforming sickness. Subete ga F ni Naru is an interesting mystery, but the art is a little older style than I generally like. Tsukimizuki Rikai no Tantei Satsujin didn't really appeal to me, since the characters didn't seem to behave realistically. Kuroa Chimera - If you're into sci-fi and mysterious illnesses, then you might want to check out this manga. 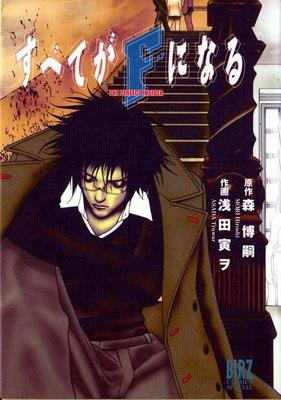 Subete ga F ni Naru - If you like the novel this manga is based on and locked room murder mysteries, then you should take a look at this manga. This seemed the most interesting to me of the three. 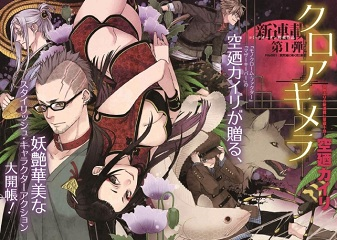 Tsukimizuki Rikai no Tantei Satsujin - If you're in the mood for murder, then this is another manga that features a murder mystery. 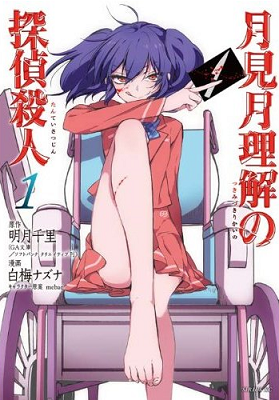 If you haven't done so already, check out the scanlations of the mangas from previous shout outs which have been recently scanlated: romance Kyou wa Kaisha Yasumimasu. (MH link).